A major research project is aiming to mark the influence of the 19th Century copper industry on Swansea. 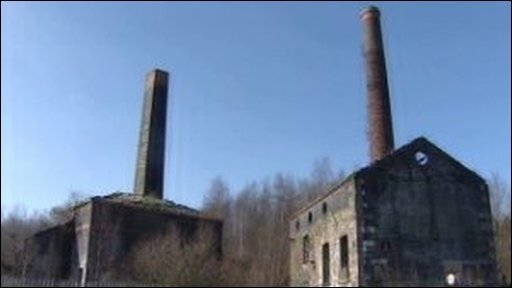 The Swansea University scheme plans to bring "back to life" the now dilapidated Hafod copper works which were founded exactly 200 years ago. Computer animations, exhibitions and activities involving local groups to celebrate the site are planned. Professor Huw Bowen said Swansea was a "crucible" for the world copper industry and of enormous importance. Prof Bowen said: "I think its not exaggerating to say that this is perhaps the most important industrial site in the United Kingdom." He said it was an integrated industry "that became truly global in time so that by the 19th Century we see copper ore coming into the Lower Swansea Valley from Cuba, from Chile , from Australia and smelted copper being produced and then being sold to markets across the world, across the Indian Ocean, across the Atlantic Ocean". "So in many ways Swansea is a crucible for a global industry and its world significance is I think of enormous importance," he continued. He said 200 years ago, the now overgrown site overlooking Swansea's Liberty Stadium would have been a hive of activity. "The scene on the river 200 years ago would have been one of bustle and noise and excitement, energy, lots of copper barques coming up the river bringing in the copper ore.
"We would have then had coal coming down the valley to the smelting works. We would have had smoke and flames almost like a scene from Dante's Inferno," the professor added. The project has £95,000 funding from the Economic and Social Research Council. Prof Bowen added: "We tend to think that the history of Wales is written in coal dust and iron and steel. But in fact it's really copper that lies at the heart of Wales' development as an industrial nation. Copper, he said, is "what made Swansea great, it's why Swansea became known as Copperopolis". "I think its important therefore that we try and celebrate and commemorate that," he added. Local resident Brian Perrins gives guided tours of the Hafod site. 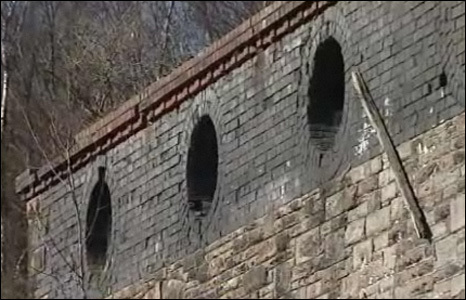 He said: "Without these works Swansea [you can] forget it, because this is what made Swansea. We must not forget where are roots are and that's important to me and getting it across to people what this is about. "It's not dereliction it's not ruined buildings, it's history"
The research project will lead to an exhibition at Swansea's National Waterfront Museum in 2011 followed by a travelling exhibition throughout Wales. A major study on the development of Welsh copper industry will also be produced.